Stand Up Paddle Boarding is all about balancing on an unstable board while paddling – and enjoying being on the water. This requires balance and core strength. Whether you are just starting out in calm conditions – or stretching your sea legs into the ocean, some preparation will help you get the most from your SUPing. CoolBoard is fantastic indoor training for SUP – the best balance trainer and core strength trainer you can get – due to our true 3D movement. Start easily on our Disc and progress onto the Ball. You can use your CoolBoard SUP trainer at home, and take it on SUP trips to kick your muscle memory into gear just before you hit the water. When you first start SUPing it will instantly test your balance skills, and as you progress your balance will become even more important. 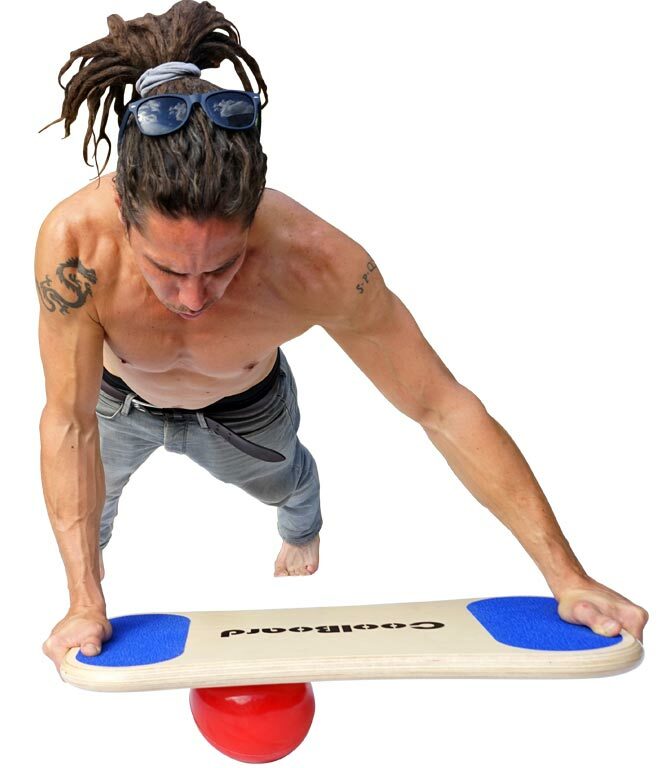 The unique 3D movement of CoolBoard is perfect this, allowing you to practice the balance you need for Stand Up Paddle Boarding at any level. CoolBoard can be done indoors at home whenever you have a spare few minutes. You can start easily on our Disc and then progress up onto our Ball. 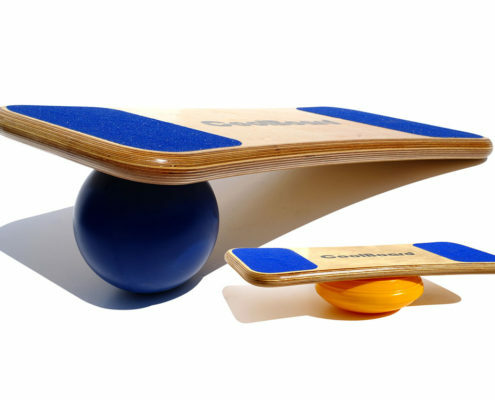 Beware of lesser balance boards and wobble boards that limit movement, these either rock with no slide, or only slide from foot to foot – not half as effective as CoolBoard’s unique movement. When you paddle its easy to push yourself off balance. The harder you try to paddle, the bigger a problem this is. Good balance will help, but good core strength is really what you need to remain centered through your paddle stroke. By strengthening your core strength and improving your balance your body can get the power through your paddle stroke without throwing your balance off. Your core connects all your major body parts and is where all your movement begins, especially on a SUP! Balance training combined with good core strength means your body will move as one, from your feet to your arms. So as you move through your paddle stroke the rest of your body will subtly shift to take your stroke into account, keeping you confidently on your board. We have many packages to choose from depending on your ability. There is general information to help you choose the best for you in our Buyers’ Guide. If you have any questions about what package to get, how to use it, or if its right for you, please feel free to call us on 0117 949 8338 or email us on [email protected].